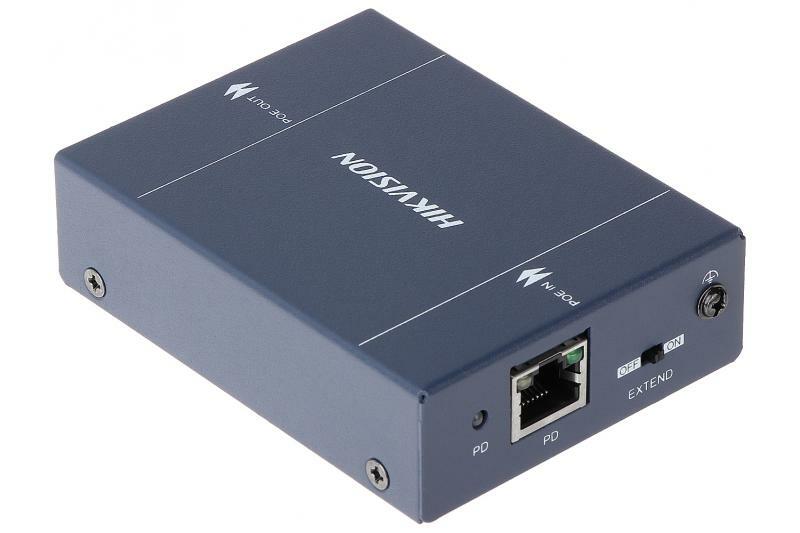 The HIKDS1H34 permits you to increase the distance of PoE supply and data sending via UTP category 5e up to 200 m - EXTEND OFF or up to 400 m - EXTEND ON. The device does not require external power supply. The cascade connection of max. 4 extenders allows to send the data and powering up to 500 m.
WARNING! For cascade mode and with the EXTEND mode enabled, the maximum camera power should not exceed 5 W.